From the folks behind the breezy Japanese craft beer joint JiBirut, and distributors Eastern Craft, comes this unassuming Tokyo-styled atering hole. 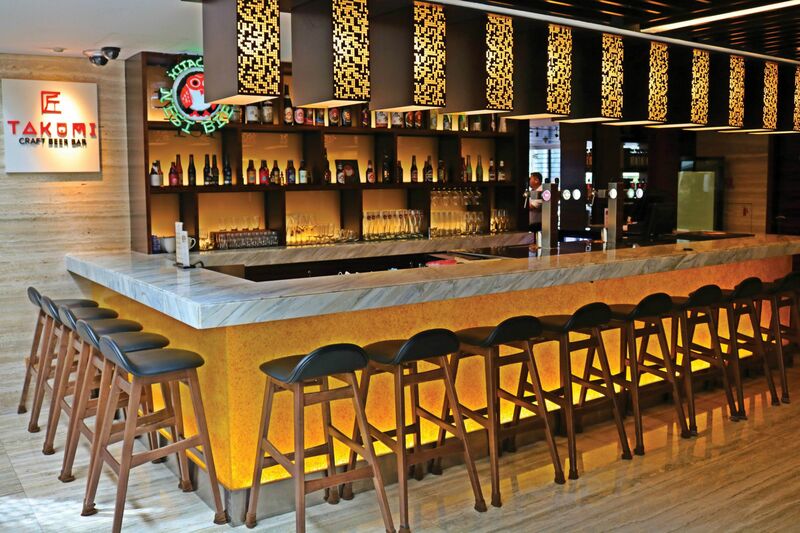 Situated in a corner on the fifth floor of the Mandarin Orchard Hotel’s sleek lobby (note that it is in the hotel itself and not the Mandarin Gallery), a premium selection of craft beers, sakes and cider are their poison. Beautifully cheerful bottles with cool Japanese graphics on the label are de rigueur here, with staples such as Hitachino Nest, Shiga Kogen, YoHo Brewing on tap. Apart from that, there are also beers aged in whisky, bourbon and even Bordeaux-infused barrels to take things up a notch. As is common with craft beer bars, the list on offer is ever-changing and a quick visit to their Facebook page will prove that new bottles are always being added. Also look out for their Tap Takeovers, like the recent one with Sankt Gallen, featuring seasonal beers from rarer breweries and more challenging varieties.